With no released album since 2010, I wasn’t sure when to expect another Prince album. He surprised us with not one but two new releases in 2014, PLECTRUMELECTRUM, a collaboration with his all female band 3rdEyeGirl, and his own album Art Official Age. 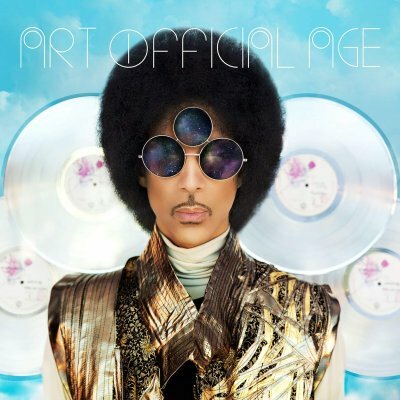 Although it has its strong moments, PLECTRUMELECTRUM is dragged down by weak material like “AINTTURNINAROUND” and “TICTACTOE”, but Art Official Age is my favorite Prince album since 2004’s Musicology. It’s so tough to give an honest appraisal of new work from Prince, the guy has truly done it all and it is completely unfair to compare anything he does now to his brilliance in the 80’s and much of the 90’s. Do I wish he would explore a more mature musical and lyrical direction at this stage in his life, of course. It’s the same issue I have with another legend that rose to prominence around the same time Prince did, Madonna. But while I hold out hope Prince will reach that place, Art Official Age is a fine way to pass the time until he does. It’s a cohesive, vibrant, well produced modern R&B album. The fretting over the extent of the involvement of Joshua Welton in the production of this album from some fans is silly. When it comes down to it, this is still Prince’s show and if Welton helped Prince sound better than he has in a long time, more power to him. There is a wealth of strong material here starting with “Clouds”, the first track released to preview the album. I have a hard time understanding how anyone who has been a fan of Prince’s since the 80’s could not dig this song. It’s funky, quirky in a good way, the bass line and groove is insanely good and it ends with a searing guitar solo like only Prince can do. “Way Back Home” is another high point, musically different from anything I’ve heard Prince do before and with a much more inward looking lyric than we have seen from the man in a long time. Andy Allo shines on vocals on three tracks here with the highlight being the near seven minute, entrancing “Time”. There are solid ballads in “Breakdown” and “This Could Be Us” and the Princely funk of “The Gold Standard” and “U Know”. The only misstep on Art Official Age is the inclusion of a remix of “Funknroll” that really would have been better served as a bonus track instead of its placement near the end of the album. It disrupts the flow a bit, but it is one minor issue with an otherwise excellent album. It’s nice to have a Prince album in my year end favorites again.